Any graduate with 45% marks (40% for reserved category students, graduated from University within Maharashtra) or those who are appearing for their final year degree examination in any discipline of an approved University. 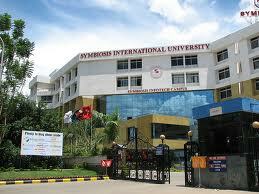 International Students who have a valid Bachelors' Degree can apply for admissions under the above category. They will have to complete all formalities stipulated by the concerned authorities from time to time. Any graduate who has passed or appearing for the final year degree examination in any discipline (Science, Commerce, Arts, Engineering or any approved University) are eligible to apply. Candidates must have mathematics as a subject in their 10+2 course or any one year of graduation. The students seeking admission to MCA in IBMR in Chinchwad, Pune -19 are required to appear for the CET (Common Entrance Test), GD & PI conducted by the Director of Technical Education, Government of Maharashtra or the institute level exam conducted by the Management Association of MCA Institutes (MAMI). MMM is a two year full-time course offered by the University of Pune. The contents of the course comprehensively cover all marketing management aspects, including functional areas of Marketing Management like Industrial Marketing, Marketing Research from the theoretical and practical perspective and marketing management, consumer behaviour etc. Any Graduate or its equivalent from any approved University. Students appearing in the final year may also apply. Admissions for the above course will be based on merit for their performance in Written Test and Personal Interview (P.I.). Candidates who have appeared for MAT/ATMA/CAT/XAT/ NAT are exempted from IBMR Written Entrance Test and will have to appear only for Personal Interview. Candidates wishing to appear for Written Test & or Personal Interview or only for Personal Interview must fill up the application form given in the prospectus. The Prospectus costs Rs. 1000/- only. The amount may be paid in cash or by Demand Draft in favour of Director, IBMR, Chinchwad, payable at Pune. The course has been designed bearing in mind that personnel is true asset of any organization. The course helps future Personnel Managers to understand strengths and limitations of both management and labour. It covers every aspect from principles management, industrial & labour economics, organizational behaviour, industrial psychology, law, IT, trade unions & industrials relations etc. Students of MPM have to undergo field work at the Personal Department of a company, during their First Semester. Admissions for the above course will be based on merit for their performance in Written Test and Personal Interview (P.I.). Candidates who have appeared for MAT/ATMA/CAT/XAT/ NAT are exempted from IBMR Written Entrance Test and will have to appear only for Personal Interview. Candidates wishing to appear for Written Test & or Personal Interview or only for Personal Interview must fill up the application form given in the prospectus. The Prospectus costs Rs. 1000/- only. The amount may be paid in cash or by Demand Draft in favour of Director, IBMR, Chinchwad, payable at Pune. Research facilities for Doctor of Philosophy (Ph.D.) are available for the students who are interested in Research in the Management faculty of University of Pune for the Computer or Management topics. Eligible candidates should meet the Director. This program equip young graduates with essential principles and practices of Marketing Management, to enable them to take up employment in industrial and commercial establishments, also to start their own business activities. Any graduate or those who are appearing for their final year degree examination in any discipline of an approved University or any diploma awarded by Board of Technical Education (post SSC 3 years) and with 2 years work experience after the Diploma or one year work experience after H.S.C.. Post Diploma work experience certificates have to be produced at the time of admission. The course is especially designed as a fundamental course in Business Management for aspiring managers .This course is an ideal option for working professionals who wish to study further or gain expertise in relevant areas of management and earn a respectable master’s degree. 1. An Engineering Diploma graduate from a recognized Polytechnic Institute with one year professional work experience. If the diploma is after HSC, candidates must have two years of professional work experience after the same. 2. A Bachelor's degree in Commerce/ Arts/ Science/ Mental, Moral or Social Science/ Engineering or Technology from any approved Indian or Foreign University. 3. Appearing for their final year degree examination in any discipline of an approved University. The PGDFT is a foundation course for developing a competent cadre of business executives to meet the country's growing requirements for personnel in the field of Foreign Trade Management. Any graduate with 45% marks (40% for reserved category students, graduated from University within Maharashtra), equivalent grade (b+) or those who are appearing for their final year degree examination in any discipline of an approved University. Students are required to undertake a 45 days industrial project work programme after Semester I in any Logistics organisation or any organisation engaged in the International Business. Please refer to the docket behind for admission procedure. This course is to impart quality education and develop competent young men and women with the necessary knowledge and skills that will help them secure reputable jobs opportunities in the field of Logistics and Material Management. 1. Bachelor's Degree from any approved Indian University or any recognised Foreign University. Diploma or Post HSC 2 years Diploma) with one year Post Diploma work experience. Admissions through all India level merit consisting of Written Test (CET/ CAT/ MAT/ ATMA/ XAT scores accepted) & Personal Interview (PI). The students desirous to get admission to MMS/ MBA or MCA must appear for the CET (Common Entrance Test), GD & PI conducted by the Director of Technical Education, Government of Maharashtra or the institute level exam conducted by the Association of Management Institutes. More than 150 firms visited the institute for both on campus as well as off campus interviews. Some of the notable employers offering jobs through Campus were, ICICI Bank, ICICI Securities, Lombard, HDFC Bank, HDFC Sales, Kotak Mahindra Bank, Mahindra Finance, Bajaj Finance, HSBC Investments, Kotak Securities, Karvy Consultants, Airtel, Uninor, MTS, VIP Industries, Times of India, Sakal Publications, Magicbricks.com, Naukri.com, Star Majha, Camlin, KPIT, Novaciss, E-Clerx, Vits Hotel & Intas Pharma, Dwarka Dairy & Coffee Day.